From its early days dominating the world of racing to a postwar shift that saw it focus on producing luxury cars, Bentley was a name that equalled quality and the very best British motoring had to offer. In Bentley history, the glory days of W.O. Bentley, racing at Brooklands and the Bentley Boys were actually relatively short-lived but for nearly a century, this romantic image has remained and remarkably endured. After selling French DFP cars with his brother, Horace Milner, and after finding success engineering cutting-edge aeroplane engines during World War One, Walter Owen Bentley founded Bentley Motors in 1919. W.O. was motivated to establish his own marque through his dissatisfaction with contemporary motorcars of the day, considering them unsophisticated and noisy. By the end of 1921 the first production Bentley had been delivered, featuring the marque’s distinctive radiator and flying ‘B’ badge. Bentley Motors first car, the 3-Litre, was produced from 1921 to 1929. Featuring a 2996cc straight four engine, available in various states of tune, mounted to a rolling chassis that was delivered to the customers coach builder of choice. The 3-Litre was where the Bentley racing legend started from. 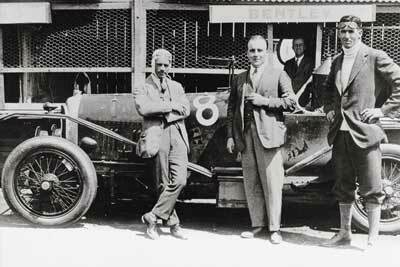 The 3 Litre entered the very first Le Mans 24 hour race in 1923, with Captain John Duff and Frank Clement behind the wheel. The pair finished a very respectable 4th. The following year they returned, crossing the line first. In 1925 the company was acquired by Woolf Barnato who, along with several other wealthy British motoring enthusiasts known as the ‘Bentley Boys’, established Bentley as a dominant force on the racetrack. Bentley completely dominated the race in 1929, finishing 1st, 2nd, 3rd and 4th places. Woolf Barnato and Glen Kidston achieved another victory in 1930 but, sadly, this would be Bentley’s last appearance at La Sarthe for over 70 years. Although not crucial to the Bentley story, Bugatti’s svelte, lightweight cars were the dominant racing force at the time, but often, through reliability and innovation Bentley could compensate for the extra weight of their cars and come home first. Legend has is that Ettore Bugatti once dubbed the Bentley cars “the fastest lorry in the world” when his blue cars were beaten to the chequered flag. Bentley withdrew from Le Mans after 1930 and financial troubles led to Rolls Royce taking control of the company in 1933. Although officially Bentleys were more sporting in character, the DNA of the two marques became ever-more entwined over the years and by the time the Bentley T series arrived in the mid-sixties the new Bentley image was established, with the racetracks and tales of daring-do, very much a thing of the past. 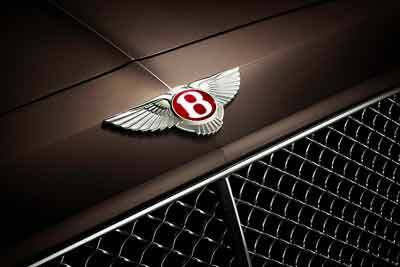 Although the Bentley Motors wings emblem has essentially remained the same over the years, the letter B adorned by a pair of wings, it has often been revised since the early ’90s. In 1990 Volkswagen AG acquired the company, separating the Bentley and Rolls Royce marques after 67 years. The new owners hadn’t forgotten Bentley’s roots and in 2001 Bentley returned to Le Mans for the first time in seven decades, with the EXP Speed 8. In 2003 they were victorious at La Sarthe, achieving a fantastic 1st and 2nd place. The marque’s 90th birthday was celebrated in 2009 with the launch of the new Mulsanne. In 2014 Bentley returned to the racetrack to compete in the Blancpain Endurance Series, where they scored victories at Silverstone and Paul Ricard, and finishing second in the championship. Blancpain Endurance Series. 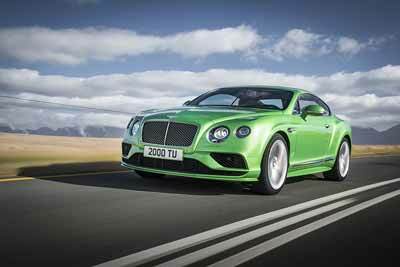 At the 2015 Geneva Motorshow Bentley showed a concept car, the EXP Speed 6, a sports car that if it makes production will once again see Bentley return to its sporting roots. If you’re a Bentley owner, be sure to check out our Bentley owners’ club section to find out about clubs near to you and for information about club meetings and events.